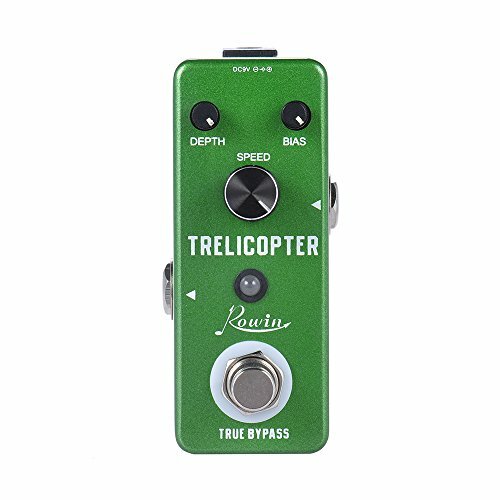 Mini guitar tremolo effect pedal with true bypass. Supports adjusting the speed and depth of tremolo effects. Supports adjusting the bias of the optical tremolo unit. With LED indicator showing working status.